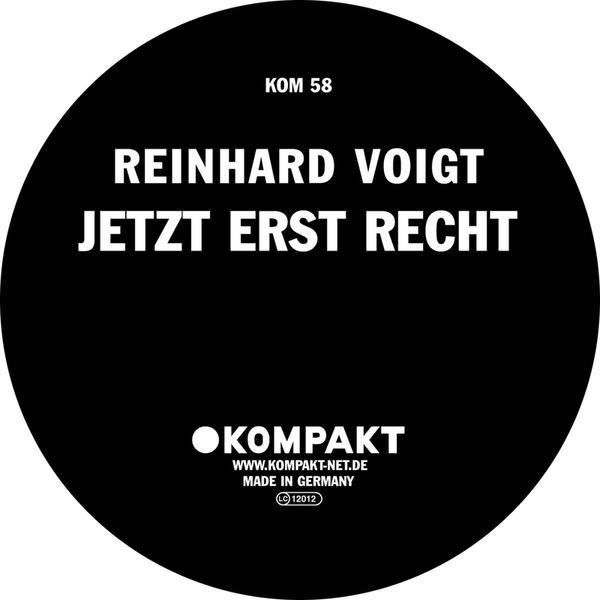 If previous offerings from Reinhard have perhaps seemed too oblique, hard or askew for English ears – this twelve gives two major clues as to why the Kompakt massive rate him so highly. I would defy you to hear this out and not lose it, sinister strings temper a rocking piece of primetime techno, clattering percuusive fills and a bugging bassline, this is jumping. As ever with Kompakt, no title for the flip, just kinetic, deadly percussive techno, deep and building into an awesome sound, indescribable really – but more insanity which taps you on the shoulder and shouts ‘must have’ in the earhole.